...and a cat, and Toothless the dragon. And I was Titania, Queen of the Faeries. Complete with battery-powered lights and safety pins, just as Shakespeare wrote. Much rain and chocolate was had, so that was all good. How was your Samhain? Love how you did your hair and such. My Halloween was filled with trick-or-treaters and they were all adorable, even the bigger kids. Thanks! 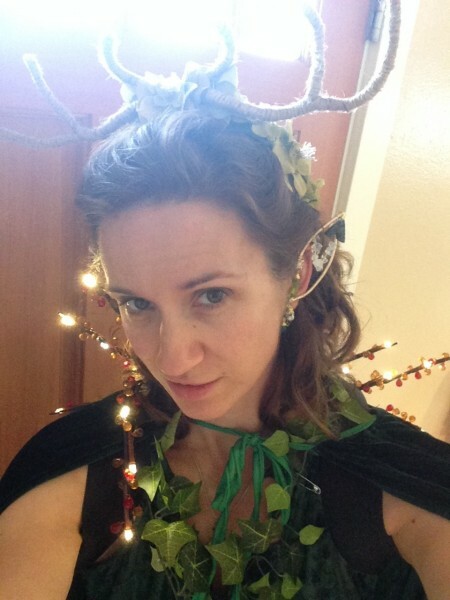 Antler headbands and elf ear cuffs can be found on Etsy, made by craftsier people than I. :) Ha, I love that phase late in the evening on Halloween when the teenagers in half-assed costumes come by. I still give them huge handfuls of the leftover candy, because hey, trick-or-treating is fun. 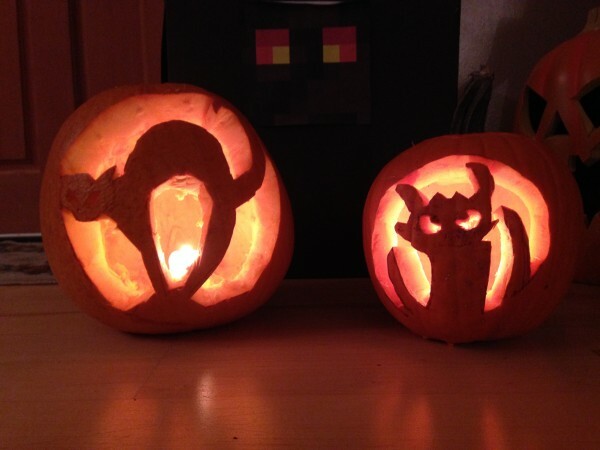 Great pumpkins. I had a bat-carved one that was a big hit. I love it! 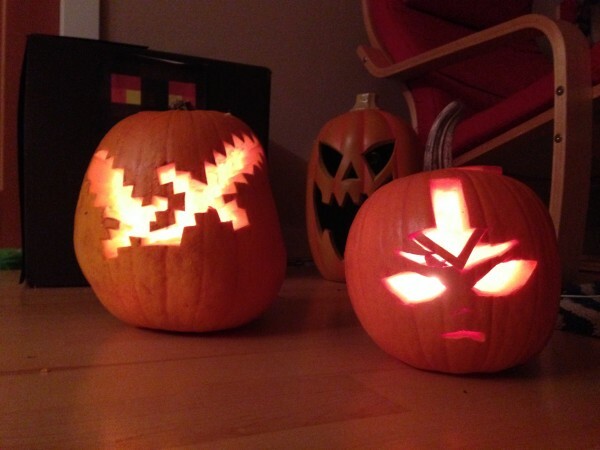 Avatar-state pumpkin-bending! I Googled "Avatar pumpkins" and saw that idea, and had to try it. Down the street someone else had a really cool Totoro pumpkin! My daughter carved a very convincing Xykon!